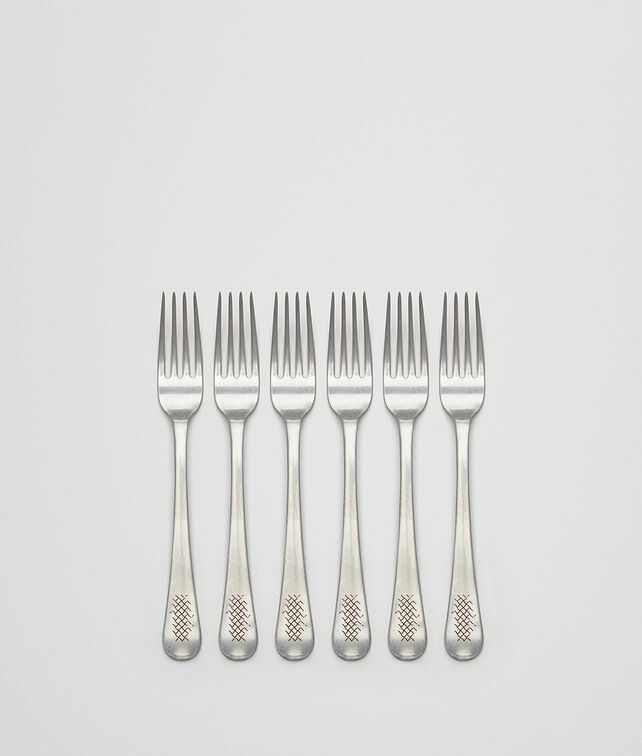 Set of six dessert forks crafted from high-quality stainless steel. The impeccable design is detailed with an embossed intrecciato trim, inspired by Bottega Veneta's signature leather-weaving technique, and carefully weighted to balance in the hand. Height: 18 cm | 7"